Every time we send out a group of letters, we write one or two individuals who we feel would never write back in a million years. 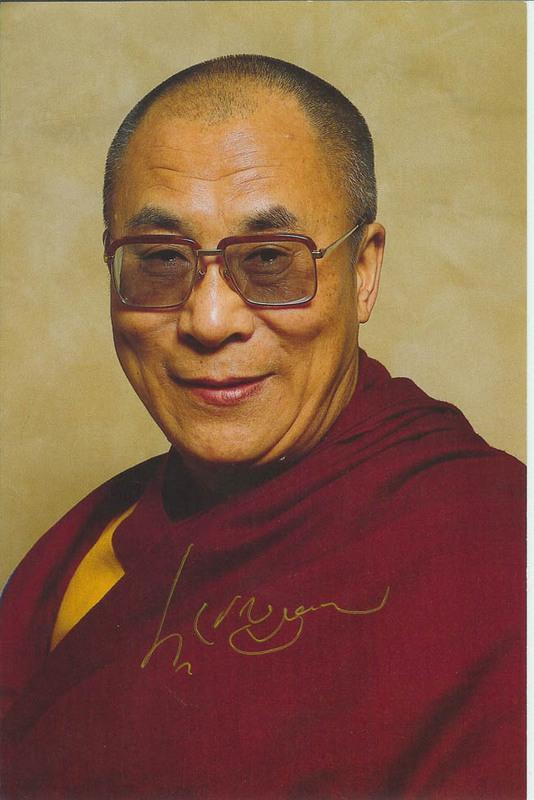 The Dalai Lama was one. We figured here is a guy who would be far too busy to respond. He has an entire country to worry about. He is the spiritual and political head of Tibet, though he currently lives in exile, due to the Chinese usurpation of his homeland. However, a letter did arrived, and I was very surprised. Granted, the letter is not from him, directly, but it is still cool. 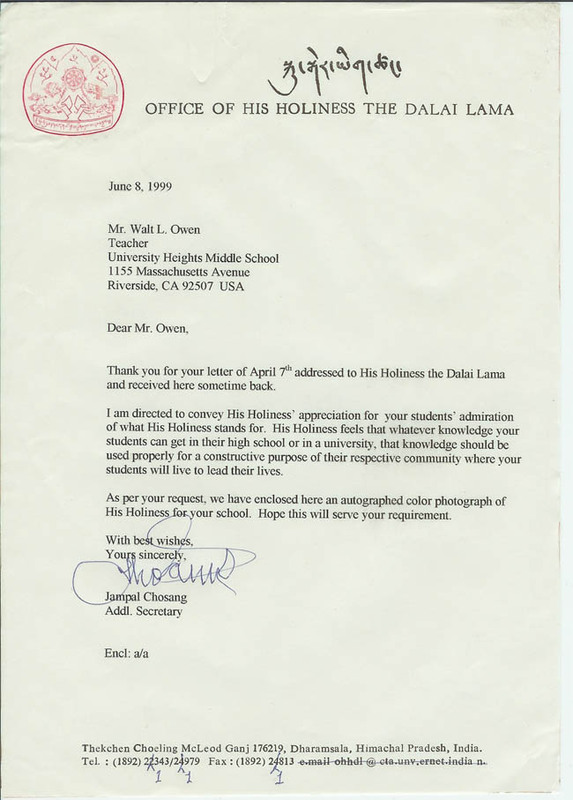 Many of my students know of the Dalai Lama. A few Buddhist students were amazed to see his picture in the classroom. Those who do not know quickly learn of his importance. Though I do not share his religious beliefs, he has a great deal of wisdom. I hope some of it will influence my students.